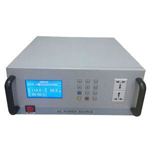 Frequency Converter, also named as AC power source, is a electronic device to convert fixed frequency (50 Hertz, 60 Hertz), fixed voltage (110V, 120V, 208V, 220V, 230V, 240V, 380V, 400V, 440V, 480V etc) to variable frequency (50 Hz, 60 Hz or 400 Hz adjustable) and variable voltage (adjust V/Hz in separate) to compatible with different countries' power system. 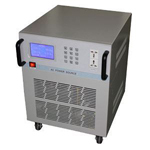 GoHz.com supplies both single phase and three phase solid state (static) frequency converters, power capacity from 500 VA to 600 kVA. Shopping solid state pure sine wave frequency converters here, changing single phase 110v/120v 60Hz to 208v/220V/230V/240V 50Hz (vice versa) in an easy way for global home appliances compatible (E.g. travel among countries, from USA, Philippines to Singapore, Dubai, India, Australia, New Zealand, Malaysia etc. 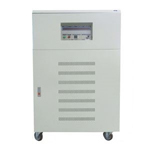 ), converting three phase 220V 60 Hz to 380V/400V/440V/480V 50 Hz in one step by built-in step up transformer for industrial machines, also can change 60Hz/50Hz frequency to 400 Hz for aircraft/ military devices. 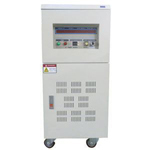 The frequency converter is suitable for use with resistive, capacitive, inductive and non-linear loads. 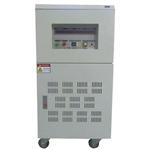 alarm for over voltage, over current, over temperature, output short circuit protection.